Although it is closed for the season. I had to give a big shout out to Peggy Bristol from Wellington Nevada. Over the summer I have seen some nice photo's from this fellow angler. 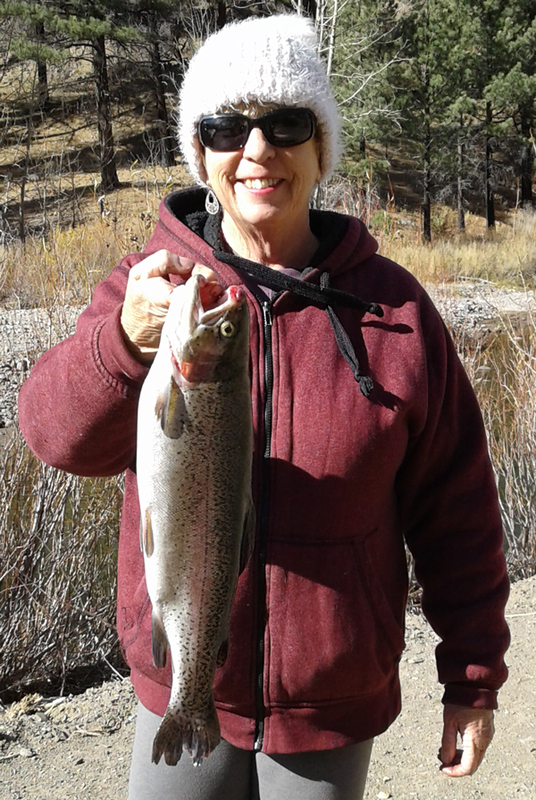 And with the closing of the season, she braved the elements and caught a nice 3 pound rainbow using a worm.